We round up the latest Liverpool news and transfer rumours on Thursday, as the Reds are linked with Chelsea youngster Callum Hudson-Odoi. Danny Gallagher on why Liverpool are improving, regardless of trophies. High praise from the Chelsea superstar. “I think it always stays with you, those moments”. 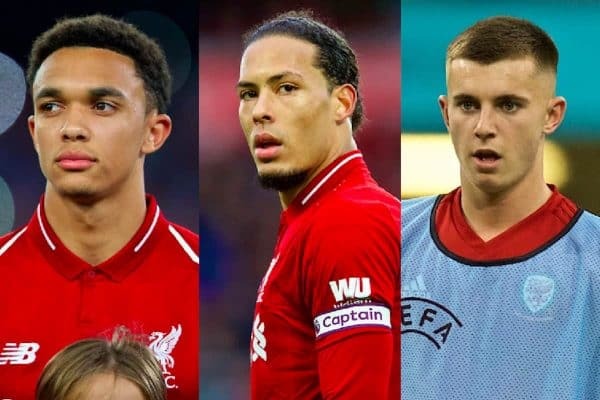 QUIZ: How well do you know the Liverpool legends? Time to test your Reds knowledge! Hudson-Odoi Interest Returns… Or Does It? 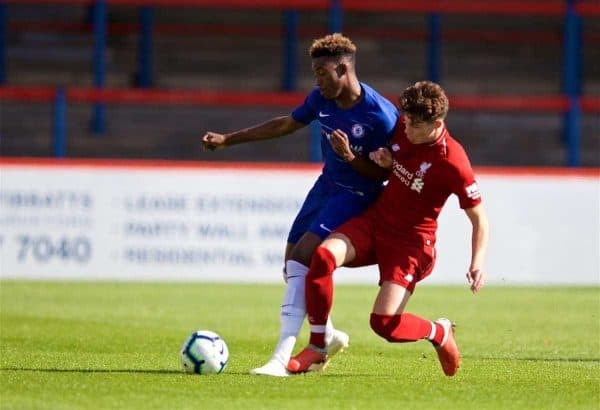 Liverpool remain keen on signing Chelsea teenager Callum Hudson-Odoi according to Sport Bild journalist Christian Falk. The highly-rated English midfielder has long been tipped to move to Bayern Munich, following strong interest from the Bundesliga champions in January. The Reds were also loosely linked with Hudson-Odoi’s signature, but nothing came to fruition and the story went away until now. Although the 18-year-old would unquestionably be an exciting signing, whether there is any truth in Falk’s claim is up for debate. The player was voted as the third-best teenager in world football on Wednesday, in a list compiled by Goal. The Daily Mail report that Trent Alexander-Arnold is set to sign a “lucrative multi-million pound boot deal” with Under Armour. The 20-year-old will earn £1.6 million a year over a four-year period – a total of £6.4 million. 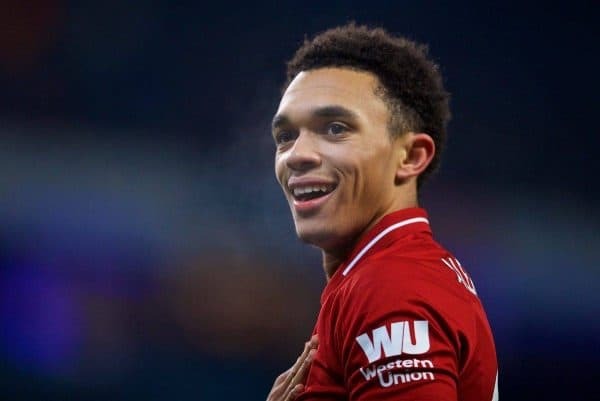 In typical Alexander-Arnold style, though, he is planning to use the money kindly, buying land in Liverpool and turning it into facilities for the local community, including a football pitch. It is a wonderful gesture by a humble and generous young player who understands his role for the city and the importance of using the power of his profile for all the right reasons. It must for nice for any defender to earn acclaim from someone, but when that person is all-time great Franco Baresi it must be extra special. The Italian legend has been speaking about the brilliance of Virgil van Dijk, as well as fellow Netherlands centre-back partner Matthijs De Ligt – who has been linked tenously with Liverpool recently. “I like Van Dijk and De Ligt, they are both very strong and very athletic,” Baresi told AFP. 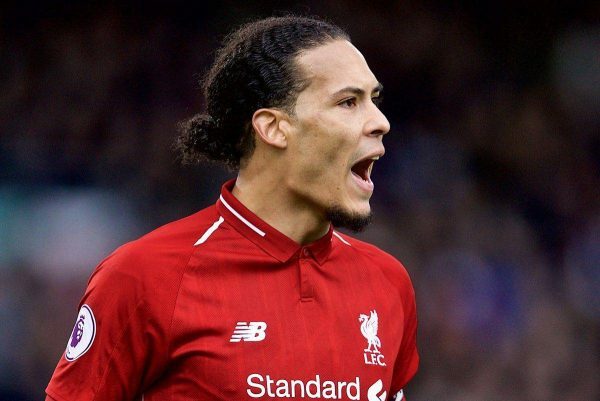 Van Dijk may have experienced a rare error against Fulham at the weekend but he has put together one of the great individual seasons by a Liverpool defender. To have someone of Baresi’s stature recognising his quality speaks volumes. 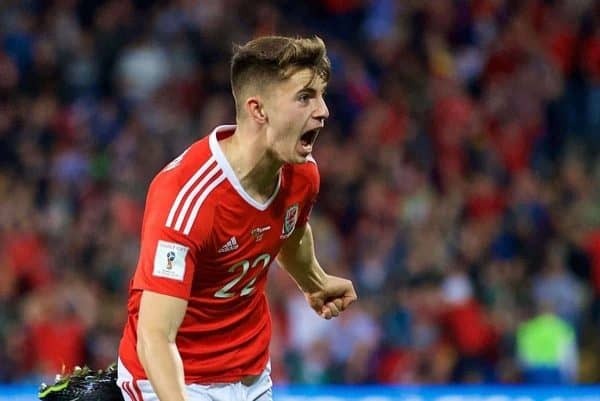 Ben Woodburn has experienced a frustrating season, having seen his loan deal at Sheffield United terminated and no first team action come his way back at Liverpool. He was Wales’ match-winner on Wednesday night, however, scoring from close range in stoppage time to earn his country a 1-0 win over Trinidad and Tobago. “Very often the first loan move doesn’t quite happen for different reasons. Sheffield United were doing so well and he was in and out of the team, but he’s back now and he looks fit but when you’ve got that talent it doesn’t go away. “Now he’s got himself in really good physical condition and he’s a threat. The last few camps he’s been really good in training and you can see the quality. I was dying to give him a game. It is easy to forget that Woodburn, Liverpool’s youngest ever goalscorer, is still only 19 andhas plenty of time to kick on his career. 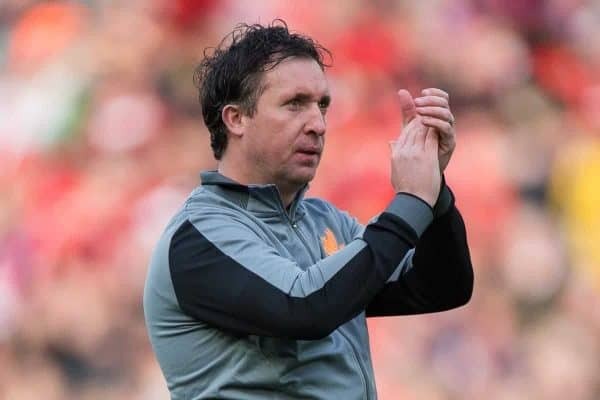 Robbie Fowler is always one of the main draws to a Liverpool Legends game, given his huge popularity and endearing attitude on and off the pitch. “I love the game, I really do, and I was obviously blessed with having an unbelievable career. “It’s a sad day when you can’t play anymore, but when you get a chance to play in these games in front of a packed house at Anfield, putting your Liverpool kit and your boots on again, there’s no better feeling, there really isn’t. “People throughout my career certainly treated it as a job and I think people outside the game know that as well, but for me it was never about that. “I was lucky enough to play football as my profession, but it was also a hobby that I would have done anyway. Kickoff at Anfield is at 3pm – you can join Joanna Durkan on our matchday liveblog throughout the afternoon.